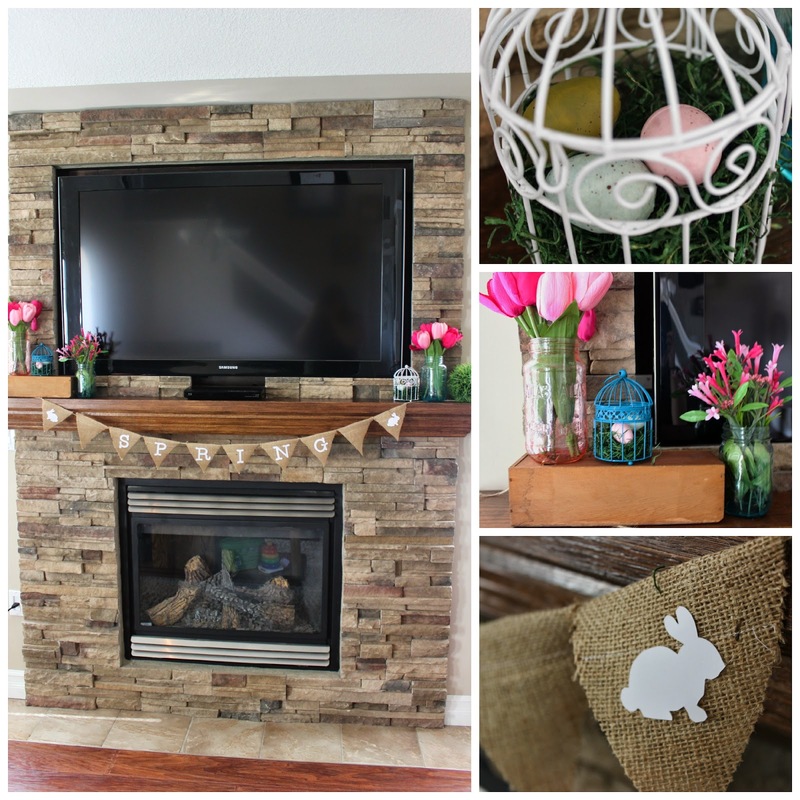 Prepare yourselves… here comes the first of many Spring and Easter posts! This past year I began decorating my mantle to represent different times of the year (see my Fall mantle, or St. Patricks day mantle). It's an easy and effective way to get me excited about each new season and holiday. I cut out the letters for the word "SPRING" on my cricut. The bunny was a picture I found online, traced and cut out on white paper. 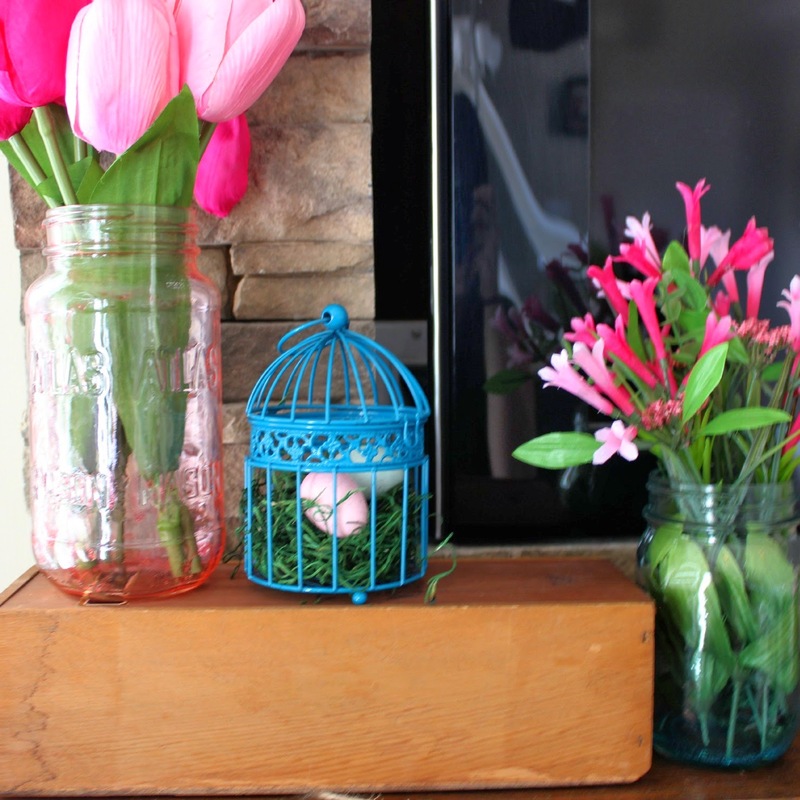 I think the bird cages, eggs, grass and flowers all scream "Springtime!" 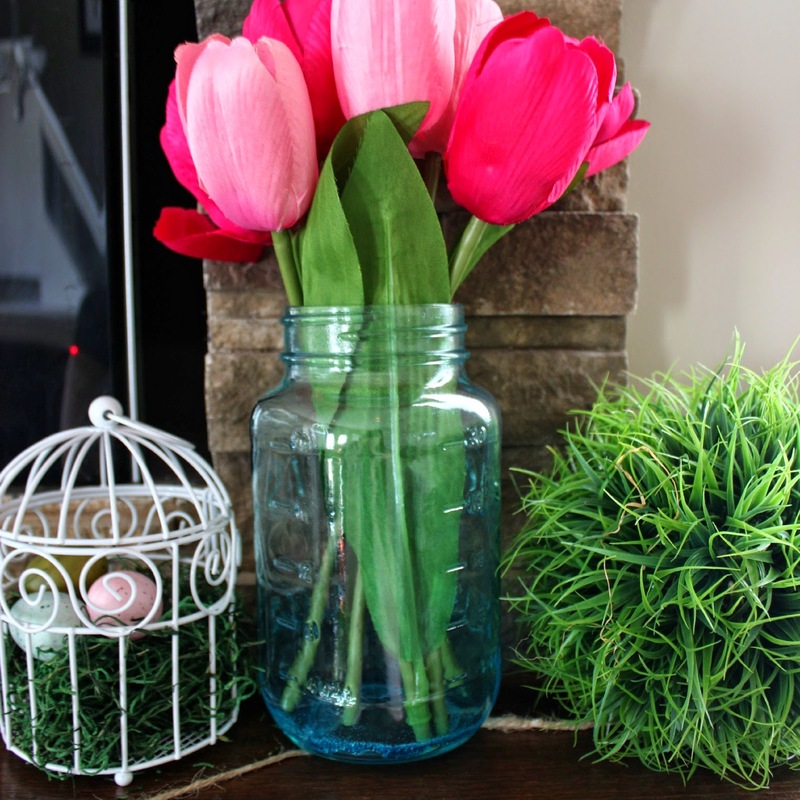 The coloured mason jars were made by moi (tutorial coming soon)! When we made the wedding ones, we had a bunch of extra burlap banner pieces. These are some of them finally getting used :) And I should be able to use them again after! 4. Do devotions every day for a month - Check!